The series: We look at the manufacturing industry which is using technology to create “smart factories” fit for long-term global competitiveness. 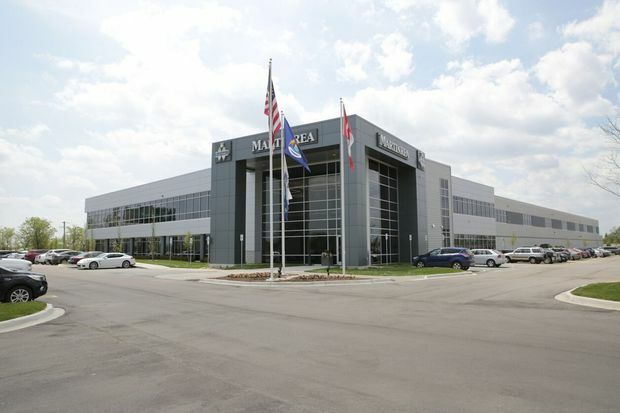 At first blush, the timing seems good for Vaughan, Ont.-based auto-parts maker Martinrea International Inc., with its new plant in Michigan which opened in May. As the Trump administration tosses tariff threats to the Canadian auto industry like tacks on a road, Martinrea’s enlarged physical presence in the United States may seem fortunate, in order to circumvent certain sanctions, perhaps. Yet while tariffs on steel and aluminum and threats of further tariffs on Canadian auto exports occupy the foreground, business must continue. And the deciding motivation behind Martinrea’s increased Michigan presence comes as much from prosaic concerns, tariffs be damned, indicated Martinrea’s president and chief executive, Pat D’Eramo, in an interview. The decision where to put a plant can be as important as any new manufacturing technology. Martinrea’s new facility in Auburn Hills, Mich., is 108,000 square feet, a bigger version of a test lab that the company previously had in Troy, Mich.
Martinrea has been growing quickly by acquiring other companies and their technology, Mr. D’Eramo said. But now, “technology development is something we had to start doing on our own, so we needed a place to do it.” The plant has more than 150 employees. Martinrea International Inc. has consolidated its U.S. operations in a new product development and testing centre in Auburn Hills, Mich. He added: “So, it was a lot of simultaneous activity, and we wanted it all in one location where our engineers were and our testers were – so they can try new products out in the same location, as opposed to spreading out in four different locations,” he said. Plus, there’s even bigger need to have product development, new technology and testing as close as possible to the automakers, i.e. Martinrea’s customers. “[With] product and testing, you want to be in Detroit,” he said. Not only are the American Big Three there, but an assortment of the biggest auto makers from around the world. “Strategically this is the place to be.” Martinrea makes a wide assortment of parts from aluminum engine blocks and transmission housings to fluid-related systems, such as fuel tanks and brake lines. This allows manufacturing to be dispersed in different locations. While the metallic group is in Vaughan, “we do our process engineering for our fluids group primarily in Mexico, at one of our plants [there]. And we do our process engineering for our aluminum in Germany. So it’s spread out,” Mr. D’Eramo said. That’s the nature of the industry, basic Auto Business 101. Product development stays close to the customer; manufacturing can be more spread out. But then there are the tariff threats. 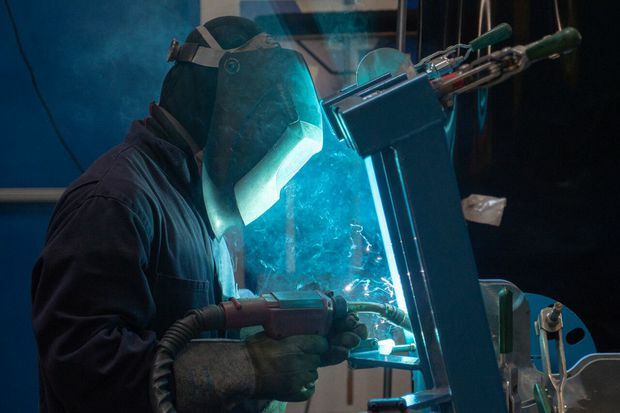 A welder works at a Martinrea International auto-parts plant in Woodbridge, Ont. Martinrea’s product development engineering, concentrated in Michigan, hasn’t yet been impacted by tariffs, but on the manufacturing side, the companies’ customers have been hit by the added cost of the material, due to the Trump administration’s punitive duties on steel and aluminum which had come into effect on June 1. “So, they’re having to pay the tariff,” Mr. D’Eramo said. As for other material which the company buys itself, “we are either finding a way to locate it locally, or bring it in by a different route.” This requires rerouting materials to and from its international plants to avoid tariffs, he explained. “Those aren’t significant dollars for us, but those are the types of things we’re looking at doing. If, for instance, there’s a product that we make in the U.S. or in Canada, that we could make locally in one of the countries – and if the customer’s okay with us switching … then we’ll do that,” he said. Ultimately, “the problem, in my view maybe more than anyone’s, is that there’s a lot of work being done that, at the end of the day, once NAFTA [the North American Free Trade Agreement] gets settled ... will have been a lot of work for naught,” he said. “The real issue is that we have to get NAFTA resolved. It’s creating a lot of waste inside the OEMs [original equipment manufacturers], inside the suppliers, and costing money that should be spent on other things to make us more competitive globally. Instead, we’re spending all of the money internally that, at the end of the day, is going to be a waste of a lot of money, unfortunately, and time,” he said. And it’s not just one company, but an entire economy dealing with these threats and NAFTA upheaval. The auto industry directly employs more than 100,000 people in Ontario. This helps stimulate an estimated additional 300,000 jobs. But when one company leaves – because, say, a vehicle may be at the end of its five- or six-year manufacturing cycle – it can spur suppliers to leave. “The interdependence between Tier 1 and Tier 2 and 3 suppliers cannot be ignored,” said the City of Vaughan’s economic development office in a written statement. The York Region is the largest auto-parts manufacturing cluster in the country with 100 firms, the city noted. “Coupled with an aging labour force and looming skills shortage, it means that once manufacturing is lost, recovery can become very difficult,” the statement said. Mr. D’Eramo is optimistic, although he conceded that “if the tariff thing stays in place or gets more severe like rumoured, then that can affect the industry negatively, of course.” He’s upbeat about the major push in new autonomous and electric vehicles. Yet, because the manufacturing cycle of a vehicle can be typically five to six years, he said, there’s always a chance of production moving elsewhere. It puts the onus even more on governments to help the OEMs to want to stay. Because once the primary manufacturers go, taking suppliers with them, it may be hard to bring them back.